High Quality Fan Hub for Mercedes Benz Trucks OM 402 ( LP ) and Actros..
Top Grinded, Matt Paint, Same quality like Eurotrading or Temac Italy. Exported more than 100, 000 Pcs till 2016 and one of our speciality. Lowest price Guarante.. High Performance Guaranteed..
Buy the best quality and imported BMW engine suspension mountings directly from our imported car parts store. 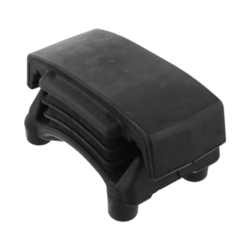 Keeping in mind the ever-evolving demands of our clients, we are manufacturing and supplying the best quality range of Engine Mounting Rubber. - In various vehicles such as cars and trucks for mounting. We manufacture high strength durable scroll mounts which though light in weight are able to bear heavy loads. These mounts are crafted from high grade rubber and are specially designed to perform efficiently and effectively. Precision moulding enables these mounts to be accurate and stable. We offer a superior range of Engine Mountings, which are made with high quality of raw material. Fabricates with latest technology and properly tested for quality at our quality testing facility, our range of Engine Mountings has been widely appreciated in the global market. It is pleasure to introduce ourselves as we are the leading manufacturers / exporters of various kind of Antivibration Rubber Pads, Rubber Mats and sheets, Rubberised Molded products and parts. - Good bonding between rubber and metal. - Any shape / rubber material as per customer requirement. Being a leading firm in this industry, we are deeply engaged in offering a high-quality range of Automotive Engine Mounting. We are preparers and s of best quality Squre Channel in various matrail as per client requirements. 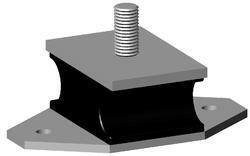 We are offering wide range of Rubber Engine Mountings. We are using high quality raw material which is procured by reliable vendors. These rubber mountings are highly durable and heat resistant and are made in such a way, so as to prevent engine from shock excitation.